To commemorate the 100th Anniversary of the Russian Revolution, the Raleigh Civic Chamber Orchestra performs works composed in the post-Revolution Soviet Union. NC State faculty pianist Dr. Olga Kleiankina joins the orchestra as guest soloist in Dimtri Shostakovich’s Piano Concerto No. 2. The orchestra will also present the World Premiere of a newly commissioned work by Liliya Ugay, an rising-star composer from Uzbekistan. Dr. Daniel Bolger (NC State History Department) will provide historical and cultural context for the music. In conjunction with NC State Live’s presentation of The Nile Project and the NC State Sustainability Fund, the Raleigh Civic Symphony presents music inspired by rivers and water. The program will include Bedrich Smetana’s beloved The Moldau and the World Premiere of a work composed for the orchestra by jazz bass legend and composer Rufus Reid. Ahhhh… Life in the country…. In this musical look at the lure of the countryside, the Raleigh Civic Chamber Orchestra performs music’s most beloved example of pastoral music, Beethoven’s Sixth Symphony (“Pastorale”). Know for its gently wandering melodies, its depiction of birdsongs and its thrilling storm scene, the Symphony was made even more famous by Walt Disney’s Fantasia. The concert includes two more recent takes on the Pastorale tradition. Lou Harrison’s Seven Pastorales presents a unique contemporary view of nature: Virgil filtered through Bali, all with a North Carolina twist. Harrison's lyrical music unites his readings of ancient literature and his explorations of Asian musical traditions with his residency at North Carolina’s legendary Black Mountain College, where he composed parts of the piece. 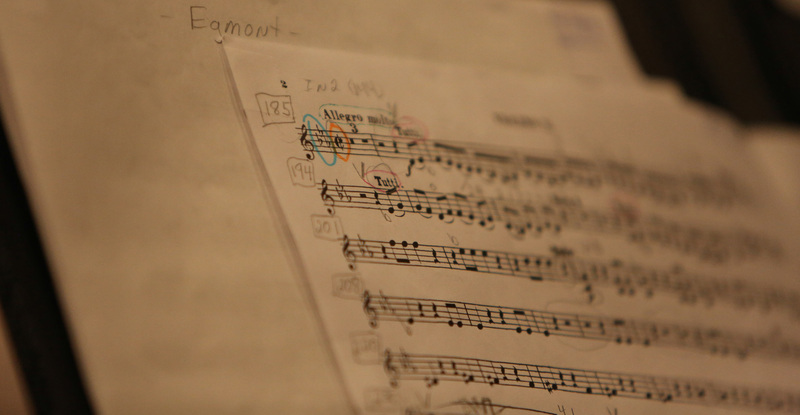 The concert also includes Pneumenon, a World Premiere composition by Boston composer Delvyn Case III. Using musical material from Beethoven’s Sixth Symphony, Case transforms Beethoven’s music it into a living, breathing (literally!) and original new musical world” one where the sounds of the performers breaths and bodies create a new sonic “landscape." Special Guest John Morillo, NC State English Department faculty, joins the orchestra to give an overview of the Pastorale tradition throughout time. Tickets: $10 Adults, $8 Seniors, $5 Students, Children Under 12 Free. Where else but in America could a gay Jewish composer from Brooklyn (Aaron Copland) create the “American" sound of cowboys and the Wild West? The Raleigh Civic Symphony explores the diverse voices, influences and backgrounds that make American music truly unique. From traditions as diverse as jazz, country, rock ’n’ roll and Greek folk music, the concert is a cross-section of the wealth and breadth of the American experience. The program includes George Gershwin’s beloved Rhapsody In Blue (performed by UNC faculty pianist Clara Yang), Aaron Copland’s spacious Outdoor Overture and the neo-Romantic lyricism and power of Christopher Theofanidis’s Rainbow Body. In an “up to the minute” reflection of American music and life, the orchestra performs the World Premiere of Actions Speak… by Jessica Meyer, a breathtakingly visceral look at the human condition in today’s America. Available for purchase at the door or in advance through Ticket Central 919-515-1100.